Respawn’s founder Vince Zampella delivered an update that described the wondrous effect the game is having, as well as confirming the game will soon be beginning a special event. The event will celebrate Valentine’s Day with limited-time themed loot, although details about the event or the loot weren’t given. What we do know is that Season One of the game will begin next month, and that will be introducing a Battle Pass, new Legends, more weapons, and new loot. As soon as we hear any more about these, we’ll let you know. 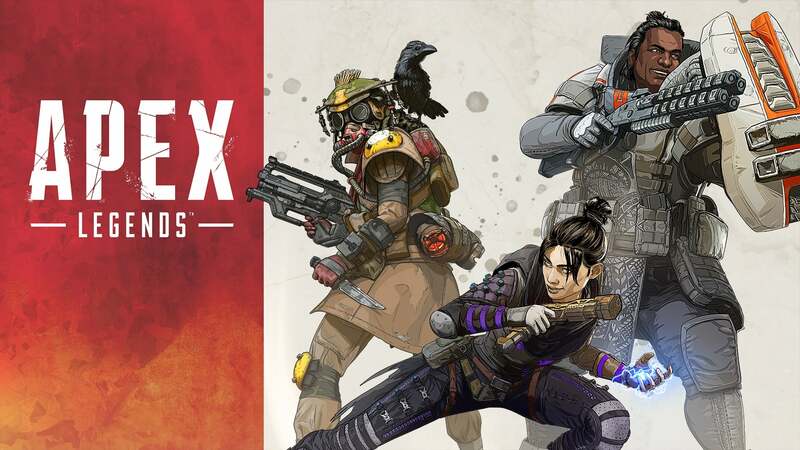 Beginning today, February 12th, and also taking place on February 19th, those who prefer to watch the game might want to tune into the Twitch Rivals Apex Legends Challenge. The challenge sees 48 of the biggest Twitch streamers compete against each other, and you can see the action here. This all comes amidst a stunning first week for the game. Since its launch last Monday, over 25 million players have played the game. Last weekend even saw 2 million concurrent players on the servers at its peak. The result is that EA’s shares have increased by 6.2%, something that will come as a relief after they dropped by 10.6% after the Q3 earnings declaration. It seems like Apex Legends couldn’t have come at a better time and their “different go-to-market strategy” has done the trick. 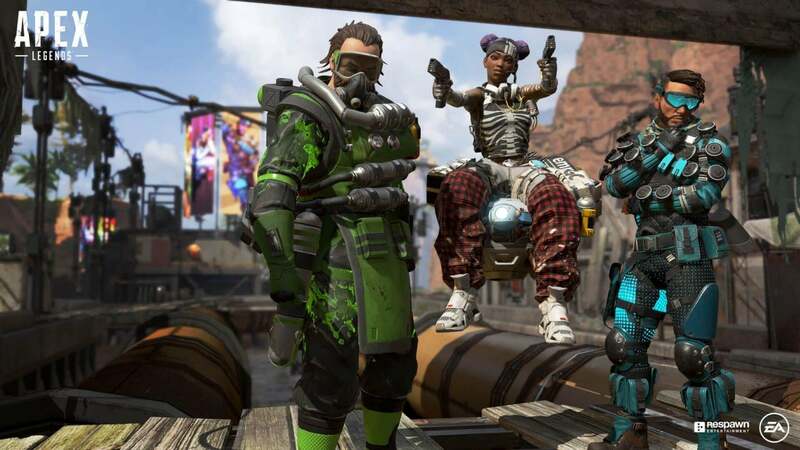 The Apex Legends Valentine’s Day patch and Event are now live. Not only does this mean that players can earn themselves some extra cosmetics, it also means there’s a small set of performance tweaks and bug stomps to enjoy. When it comes to multiplayer titles that rely on new content to keep their fanbase entertained, you can guarantee there will be someone trying to data mine the game’s files to find out what that content is before it’s announced. After all, it happened to Fortnite and Call of Duty , so it only seems fitting that Apex Legends falls victim too. Developer Respawn had already promised there would be new Legends, new weapons and new loot to come through the game’s first year, but now we may have more details on those before they’ve been announced. According to @RealApexLeaks, the game will soon be getting a Survival game mode that supposedly pits players against bots. Few other details were available on the mode itself, but it may also come with a Spectator mode, where the crowd is made up of NPCs. Players will need to perform for the crowd, but the crowd will also be performing their own actions depending on how they react to you. Commentators will also be available in the mode. Team Deathmatch is another mode soon to appear according to Gaming Intel, although details on this were also lacking. How this will work in a Battle Royale game remains to be seen. As well as new game modes, names of ten upcoming heroes have been revealed. As you can see below, those names are Crypto, Husaria, Jericho, Nomad, Octane, Prophet, Rampart, Rosie, Skunner, and Wattson. We have no idea if these characters will definitely make it into the game, let alone in what order they’ll be released, although leaks are suggesting that Octane and Wattson may be the first of those heroes to appear. Octane will apparently have a stim injection ability, while Wattson will have a Tesla Trap. Trawling through more files has revealed two new weapons through Gaming Intel. The first is a weapon familiar to Titanfall players: the C.A.R. SMG. It’s an SMG with a slower rate of fire but with a higher rate of damage and lower recoil. The second is the Proto Hold Beam, which is a completely new weapon. This apparently drains energy from robotic targets and redirects it towards enemies, but with few current things in the game that can be classified as robotic, does this finally suggest that Titans may be coming soon? Gaming Intel also revealed a list of Legendary skins that will be coming for the Havoc Energy Assault Rifle and Lstar LMG, neither of which have been released yet. The former weapon will get four weapon skins: Quantum Chaos, Sonic Empire, Dragon’s Head, and Silver Storm. Meanwhile, the latter will also get four weapon skins: Warrior’s Way, Poetic Justice, Apex Hyperdrive, Alien Invasion. We don’t know what these look like, but if they’re genuinely coming to the game then I’m sure we’ll find out soon. Finally, the game may be getting Twitch Prime-exclusive content, such as a new Pathfinder skin and Apex Packs. None of this content has release windows, but the first content drop is due to arrive in March, and this promises to bring new weapons, new heroes, new loot, and the first Battle Pass. Apex Legends fans are certainly eager for more content, and while today’s update would not be considered major by any means, the addition of a new weapon will definitely be welcomed by some. The Havoc Energy Assault Rifle will be making its debut, and developer Respawn teased the weapon in the briefest of trailers shown during the second Rivals event. We’re unsure whether the weapon will arrive with its four rumoured Legendary skins. More details on the weapon and the rest of the fixes included in today’s update have been promised for later. In the meantime, the game got a second small Preseason Patch yesterday. You can see the very brief patch notes for that update below. Fixed issue with Mirage Ability causing crashes. Yesterday also saw the start of exclusive Twitch Prime loot. By connecting your Gamertag to your Twitch prime account and logging into the game, you will receive an exclusive Omega Point Pathfinder skin and five Apex Packs. For more information on claiming your rewards, check out the FAQ. The offer lasts until April 20th. As soon as we hear more details on today’s update, we’ll be sure to let you know. This has happened to me. Nice to see it being addressed. I call BS. when do you ever move slowly? Anthem is for the quick, probably why you hate it so much. He did say he kept mixing up Apex and Anthem. I guess his brain stops processing words after the first letter? Christ, I mixed it up again. lol, that’s funny. Apex was leaked about a year ago.